Job security is one of the most sought-after benefits that job seekers search for. There are many definitions of job security, but a reasonable one that we propose is the assurance that if an individual meets the performance standards set by management, he or she will keep his or her job without the risk of becoming unemployed. The continuity of employment may be stated in the terms of an employment contract, a collective bargaining agreement, or labor legislation that prevents arbitrary termination, layoffs, and lockouts. It would be difficult to find examples of complete job security as described above, but there may be cases that offer partial security. An example would be to offer a limited no-layoff agreement, perhaps with clauses for certain extenuating conditions brought on by changes in the economy or some sort of natural disaster. Perhaps the best example of job security is in government or civil service employment. Some government jobs are occupied by people who were elected to their positions and continue to get elected by their constituents. Some judicial appointments are lifetime appointments. Civil service jobs are generally lifetime appointments, as the government rarely lays off its employees. Some of these jobs carry lifetime benefits beyond salaries, including health care, retirement plans, and other benefits that are part of the compensation agreements. Our experience in auto manufacturing, a large employment sector in the United States, is that job security is dictated to a large extent by the business cycle. Layoffs are handed out as soon as there is a downward turn in the auto business. Callbacks of workers are initiated when the demand for autos increases and labor is needed to meet that demand. Workers in an auto plant are likely to have experienced a short-term or even long-term layoff. This leads to a game that is often played in the auto factory: workers will hold back output to protect themselves from layoffs they see as inevitable. After all, they reason, why produce more product if it will increase supply and possibly lead to excess inventory, leading to a layoff? The problem with this strategy is that low productivity is one of the rationales that management in the auto plants uses to justify layoffs. Management reasons that low-producing workers are not pulling their weight and are a drag on profitability. This type of thinking creates a vicious circle that benefits neither worker nor management. 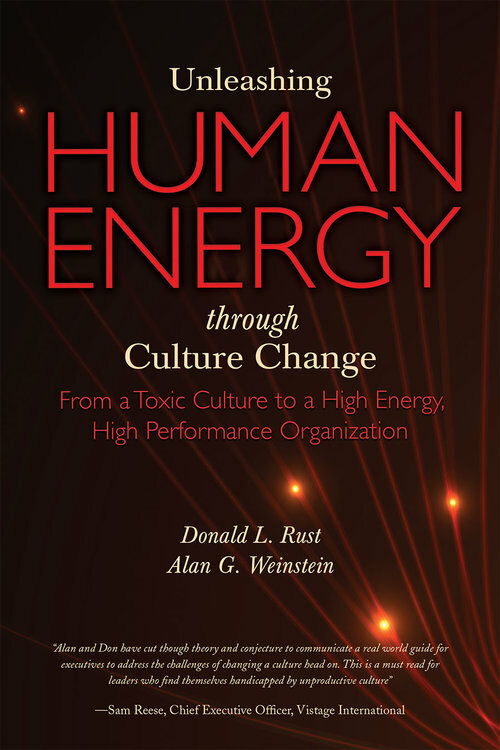 In our book Unleashing Human Energy through Culture Change, we have looked at the effect that job layoffs have on workers. We found that workers are suspicious of any changes initiated by management for fear these changes will lead to future layoffs. This lack of trust makes it difficult for management to increase productivity, even when it is needed to increase workers’ job security. And, management has not conceded to the job security needs of workers for fear that it would have a negative effect on the company’s financial bottom line, particularly in times of economic downturns. Breaking through this type of thinking on both sides led to a major initiative at General Motors’ Tonawanda Engine Plant. Don Rust stood before the workers returning from layoff and made the following statement: “As long as I am plant manager, there will be no layoffs.” This helped to develop a mutual trust and respect between management and workers. By forming a partnership between union and management, this no-layoff policy became a central piece to an overall culture change that actually produced a real improvement not only in the financial performance of the plant but also in almost every important measurement of performance. This included product quality, productivity, cooperation on major initiatives, and a significant lessening of tensions between labor and management. Few things can unleash positive worker energy better than workers knowing they have a secure job. The record reveals that the plant was able to operate for the next 15 years without a layoff, and the results were significant, with productivity improvements of up to 120 percent and the setting of a new world record for the number of engines built in one day. This change not only included the 13 years during which Don Rust was plant manager but has continued for every plant manager that followed over a span of 35 years to this date. In 2018, GM invested over 500 million dollars in this plant to produce its top-of-the line engines. No other engine plant has earned the confidence of management that the Tonawanda Engine Plant has enjoyed over this span of years. One of the more notable and positive changes in the day-to-day life in the plant was the effect of culture change on the relations between union officials and management. Union officials were welcomed to all management meetings that affected operations at the plant. They were able to bring many new ideas to the table for discussions, and their input often resulted in an improvement in decision making. This daily discourse led to a stronger, more mutually respectful relationship that was apparent in the attitude of everyone else in the plant. There is little question that the financial results of the plant benefited greatly from the partnership between management and labor. Job security was at the core of the culture change that was responsible for its long-term, ongoing success. We believe that other companies would benefit from listening to their employees and creating a culture that supports all stakeholders.